The former NNPC Group MD who admitted the ownership of the loot discovered in his brother’s house in Sabon Tasha area of Kaduna yesterday has been arrested. As at the time of this report, he is being detained in an EFCC office in Kano. 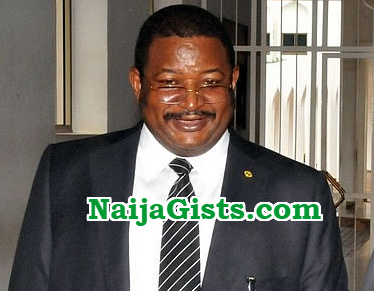 During investigation, Dr Andrew Yakubu told the agency that the sum of $9,772,800 and £74,000 discovered in a fire proof safe by the agency is a gift from unnamed sources. Interesting to hear he’s out to claim the ownership…for your information,no one will ever expect you to agree on the accusation but we need an explanation why you stash such amount there? My greatest concern is the safety and utilization of that fund for the betterment of Nigeria and not to wait for the next administration to come and uncover them from these people who uncovered them…..then the story will be “UNCOVERING AND COVERING” without any benefit. am not condoning what he did but I still think it is politically motivated because he is a Christian. They have started ooh…..religious lineage. Naija people get real problem. They are still in slumber. Dr. Andrews Yakubu is unfortunately coming from a zone where poverty is so pervasive. from a tribe and a territory where begging has become a norm rather than exception, coming from an area where the most basic need of life is food and shelter. Given that education is not his responsibility but of the government, what is the moral rational stashing away looted money in a bunker in an area domiciled by poor people and, seeing millions of your same compartriot tribesmen and women in tattered cloths holding calabash constituting public nuisances, spread across Nigeria and the entire West African nations begging for pittance just to survive a day’s hunger. Is Dr. Anddy Yakubu ever happy he’s a product of a deprived society where he was previlidged to be educated and, he watches on as poverty continues to breed sectarian and religious revolts across the entire North.? 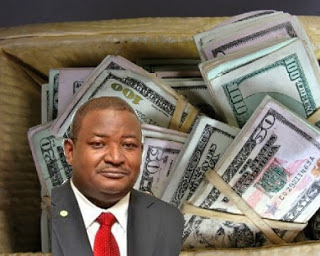 Couldn’t Dr. Andrews Yakubu have used his previlidged position at NNPC to bring education and soccour to the millions of his poor people, instead of rather stealing from the same people.? Its a shame and the North should take a cue from how others are managing to make impact within their zones despite very limitet resources. Isn’t it a shame that the World Health Oganisation Preventable Deseases Index prevalence is largely still widespread in Northern Nigeria, that still include polio which has been erradicated around the world.? An intellectual coming from this same deseases prone territory could still find pleasure in stealing about $10 million dollars to the detriment of his poor people. I now agree the issues of poverty in the north is human inflicted and could only take good leadership to erradicate. I doubt not among this generations of current leadership unfortunately. The disparity in the development of Nigeria will continue to exist decades (on condition Nigeria remains intact) so far as the mentality of certain zonal leadership continues and its to linen their pockets with public money. Federal charracter will remain a mirrage and just it has failed to change anything and will surely change nothing if people like Anndy Yakubu still exist to represent the interest of the North on the so called Federal Charracter.